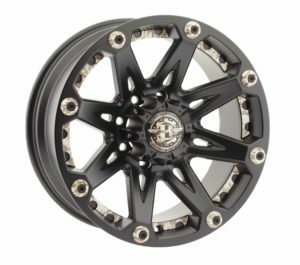 Prestige AutoTech Corporation has announced the debut of a special edition of the best selling Jester wheel by Ballistic Offroad. The special edition Camouflage Jester Wheel honors the Lone Survivor Foundation, a Federal 501(c)3 Non- Profit Founded in 2010 by Navy SEAL (Ret.) Marcus Luttrell. 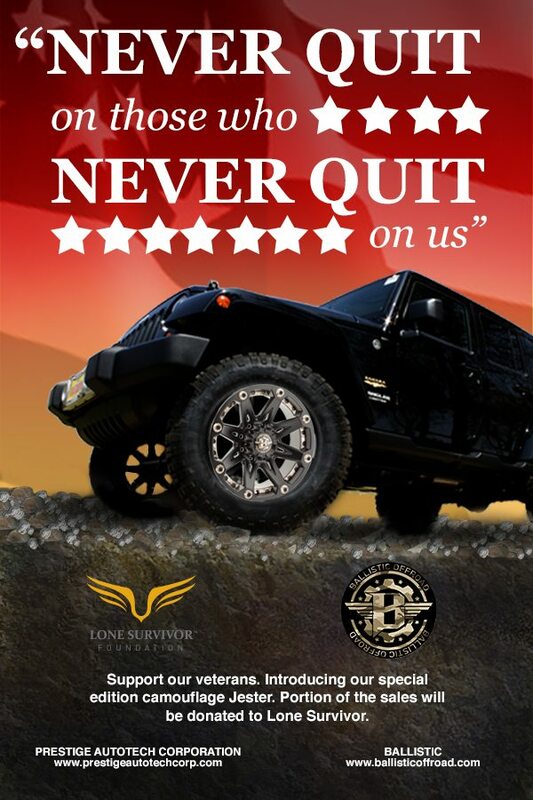 These Camouflage Jester wheels are part of Prestige AutoTech Corporation’s campaign to “Never Quit on Those who Never Quit on Us.” Over the next twelve months, the Chino, California-based company will donate ten dollars to the Lone Survivor Foundation for each Ballistic Offroad Camouflage Jester Wheel sold. The Foundation restores, empowers and renews hope for wounded service members and their families through health, wellness, and therapeutic support.